The latest photo-management programs from Apple and Google include revolutionary face-spotting technology. 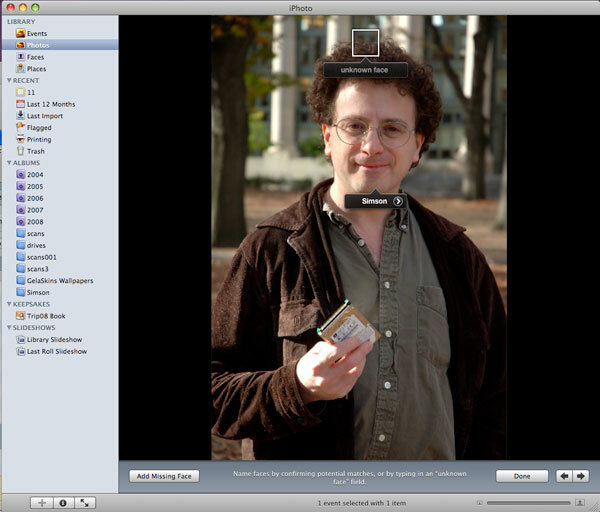 Slideshow: Apple’s iPhoto automatically identifies faces within a collection of images. Most face-detection software does this by searching for a person’s eyes, nose, and mouth. 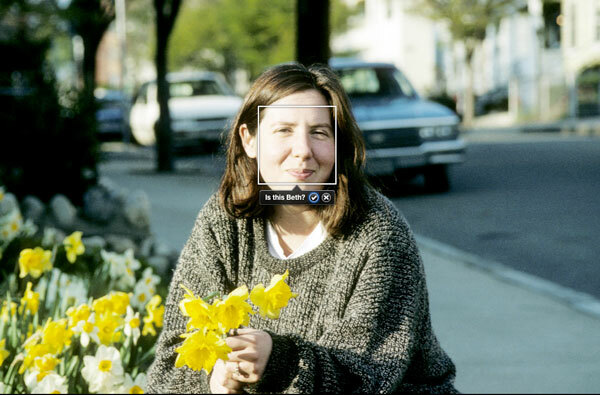 Slideshow: Sometimes, however, the software mistakes another element of an image for someone’s face. 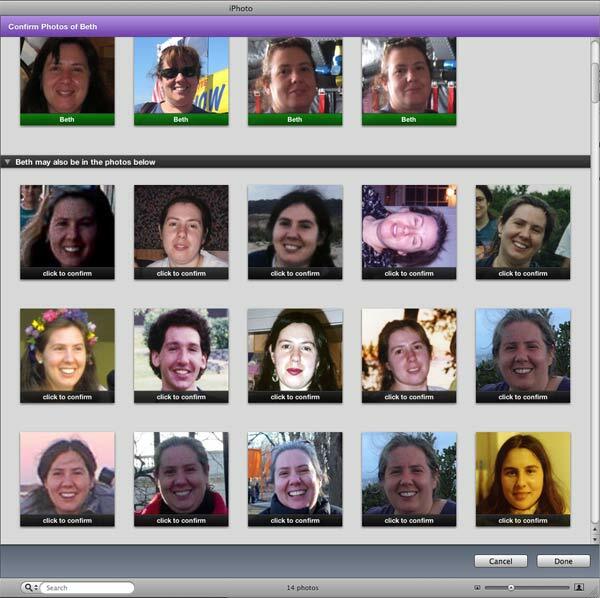 Slideshow: Once a person has been identified, iPhoto will try to find other images containing his or her likeness. 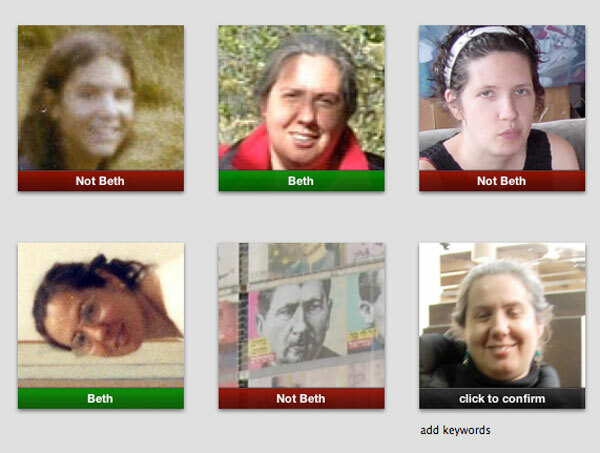 Slideshow: A user can train the software to better recognize a face by confirming and rejecting suggested matches. 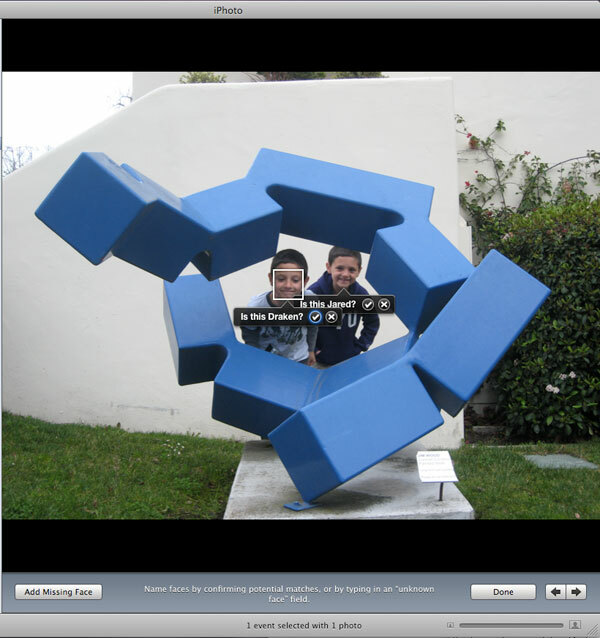 Slideshow: iPhoto can correctly tell our twins apart. 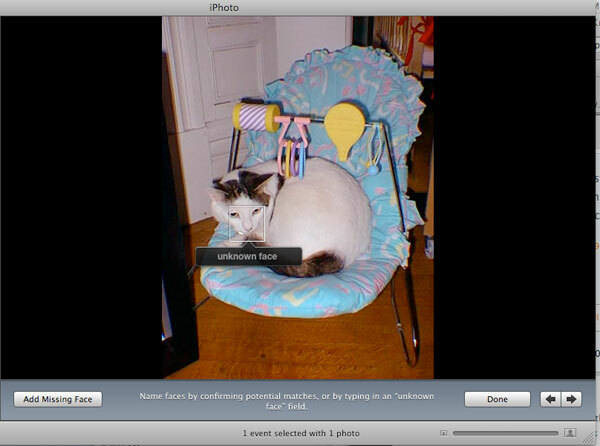 Slideshow: iPhoto will automatically recognize a cat’s face. 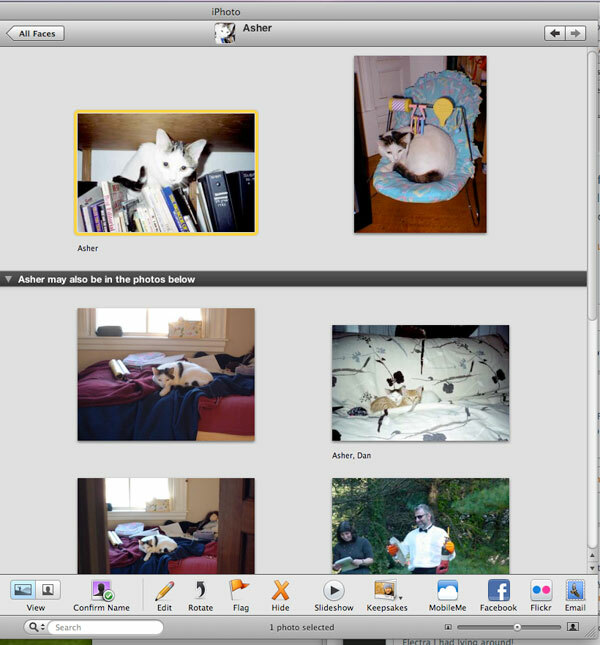 Slideshow: The software had little trouble finding images of our cat Asher–even as a kitten. 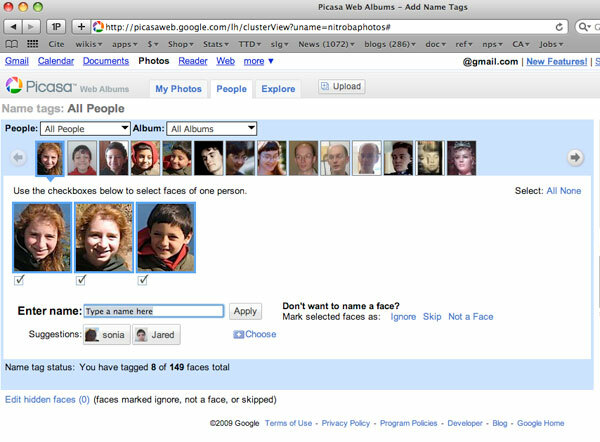 Slideshow: Google’s Picasa creates a central database of faces matched to names, e-mail addresses, and more.